Natasha Sharma is a relationship therapist, author, speaker, TV/media spokesperson, and doctoral student, She has dedicated herself to helping others achieve happiness, satisfaction, and fulfilment in their lives, and has worked with thousands of individuals, couples, and families. Natasha received her Masters degree in psychology from The Johns Hopkins University, and is currently completing her Doctorate degree in psychology. 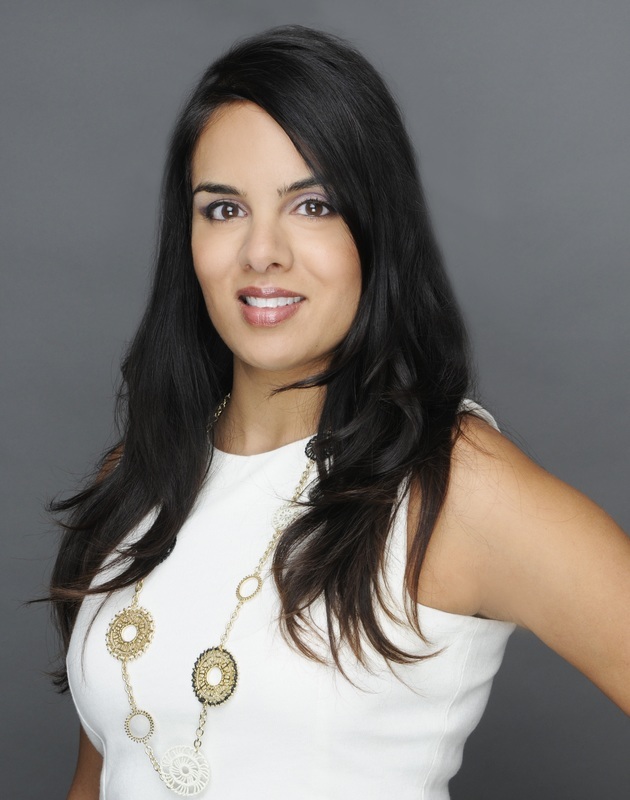 After practicing for several years with The University of Maryland Medical Centre and one of Toronto’s most prestigious psychology practices, Natasha founded the clinic NKS Therapy in Bloor West Village. As a relationship expert, Natasha writes for a number of global publications such as InsideToronto.com, TheBabySpot.ca, MotivatingOtherMothers.com, and Mike Fiore’s DigitalRomance.com. She has also appeared on some of Canada’s most popular TV shows including Global News Toronto, Breakfast Television, Etalk Canada, City TV News, CTV News, and Rogers TV. In addition, her relationship tips and mental health advice have been featured in The Globe and Mail and Huffington Post. Natasha is frequently invited to speak at academic and professional events. She has been a featured speaker at Harvard University, The University of Maryland, and McMaster University’s DeGroote School of Business. She has also spoken at prominent Toronto events such as the Beauty and Health Expo, and the High Notes Gala for Mental Health. Prior to becoming a therapist, Natasha completed a Bachelor of Commerce degree at McMaster University and worked in the corporate world for several years. Her personal decision to make a significant shift in her own career has made her especially passionate about helping clients with their own career exploration and transition to meaningful work that they enjoy. She is devoted to inspiring and helping others to be their best, and to live their best. Follow her @NatashaSharma17, @NKSTherapy. Problems, as we all know, are a reality of living. Life can be unpredictable and will most certainly be stressful at one point or another. But it is how we respond to changes and solve a problem that have the most impact and influence to the quality of our lives, as opposed to the actual problem itself. In my practice as a Psychotherapist, I have worked with many individuals and families of all ages, ranging from issues as harrowing as psychological trauma in small children to more commonplace issues such as conflict in the workplace, or dating and relationship issues. Over the years, I have come to realize that a problem is a problem, relative to the unique context of a person’s life and individual phenomenology. Which is to say that they exist – or do not exist – based on our own personal circumstances and subjective experiences of life. Empowerment: Through constantly seeking knowledge and education about ourselves and the world around us, we Empower ourselves! That means we increase our capacity to make the best choices to suit our individual lives, and to transform those choices into the actions and outcomes that we desire. We feel stronger and more confident in our ability to control our own life and destiny. Fun: Life is incomplete and boring without Fun! We express our individual selves every day through our tastes in food, fashion, travel, hobbies, social events, music, movies, and whatever else we are passionate about. Fun is the spice of life, and regular doses of it at every age are essential to our well-being! Introspection: To increase self-awareness, we must look inward and recognize our unique strengths, our weaknesses, our areas of vulnerability, and our passions. We all have them. Become intimately acquainted with your unique self! Love: Our well-being is truly enhanced by the love we receive and give to others. But most important, and foremost to good mental health, is the love we must have towards ourselves. This type of love comes through deep self-awareness, self-respect, and unconditional self-acceptance. When we are kind and forgiving of ourselves, we feel more secure and at peace. We gain more confidence, are more assertive, have more energy, are less resentful, and make good decisions that are of benefit to us. Simply put, the most important thing each of us can do to promote our own mental health is to fall in love with ourselves! When we do this, we are happy. And when we are happy, we are better mothers, fathers, daughters, sons, brothers, sisters, wives, husbands, and friends. Many of the people I encounter in my world find themselves unable to let go of the past, or anxious about the future. We cannot change the past. But we can change the way we reflect on it and thereby re-write the story of our past. We cannot predict the future. But we can challenge our fears and assess the likelihood of events. Finally, we cannot always control life. But we can always control how we experience life.